The Serpent Monster Mouse is a breed of mouse found in the Sunken City. It is known to drop Brined Curd, Flawless Orb and Super Power Charm as loot. Hidden among the outcroppings, burrows and other dark nooks and crannies within the deep, the Serpent Monster Mouse slithers up on their unsuspecting prey out in the dark, swallowing it whole! Their long, sharp teeth act mostly like confining prison bars that prevent the swallowed prey from escaping their life sentence. Yuck! The Serpent Monster Mouse has no specific preference for any kind of cheese. The Serpent Monster Mouse is susceptible only to Hydro weapons. 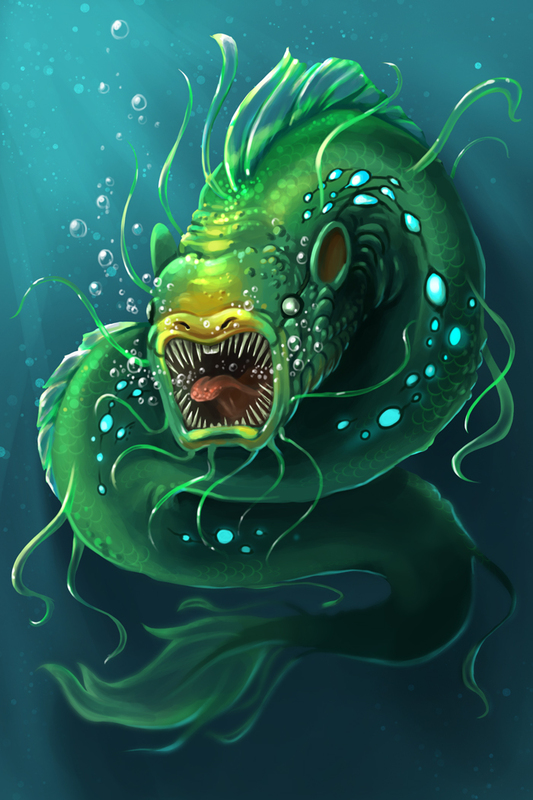 It can be found in the Carnivore Cove and Monster Trench zones while on a Dive in the Sunken City. The Serpent Monster Mouse drops the Deep, Deep, Deep Egg and the Underwater Predator Egg during the annual Spring Egg Hunt. The Serpent Monster Mouse was released 2 July 2014 as part of the Sunken City content. This page was last edited on 27 May 2017, at 01:58.